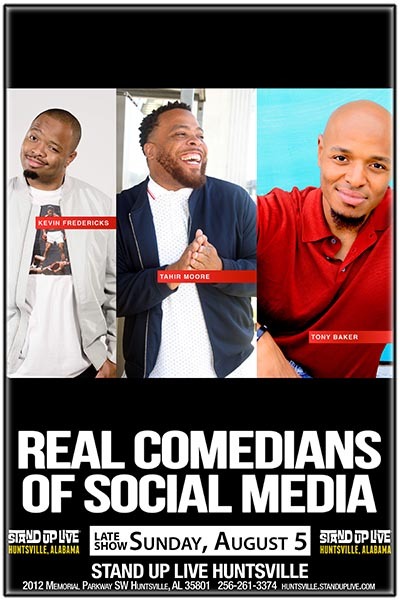 Tony Baker, Tahir Moor, and Kevin Fredericks were all comedians before the Ernest social media boom. However you are far more likely to recognize them from their videos then their stand-up. That’s all about to change. This clean comedy tour is gonna prove to you that these men are much funnier in real live. These are Real Comedians, you just know them from social media. These are comedians who use the internet. Not just funny on the internet.